"Give the popular post production software, Adobe After Effects, a try and see if it meets your video post production needs." A digital motion graphics, visual effects, and compositing application that is developed by Adobe Systems, Adobe After Effects is mainly used in the post production process of film making and television production. 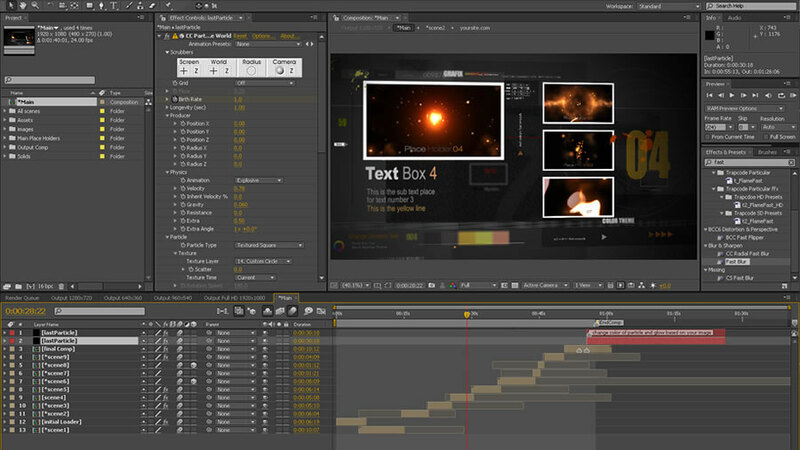 While that is the main purpose of the application, Adobe After Effects can also be used as a basic non linear editor and a media transcoder. 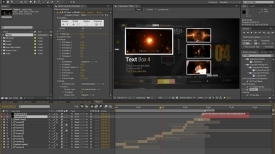 The software is mainly used for creating visual effects and motion graphics. It allows its users to composite media in 2D and 3D space with many built in tools and plug ins to get the individuals attention when you are adding the effects to the videos. While there are many options that software like Adobe Premiere has to offer, Adobe After Effects isn't a video editor, but is just to add effects to an already edited video that is ready for production and needs an extra punch to keep your viewers entertained and excited for more. The interface of the software has several panels. Three of the most commonly used panels are the Project panel, the Composition panel, and the Timeline panel. If you have used media editing software before, these panels will be very similar to what you are used to and you should feel right at home with this interface. However, if you are new you will learn that the Project panel is used as a bin to import stills, video, and audio footage, the Timeline panel is where the layer order and timing can be adjusted, and Composition panel shows the items that are currently visible at the current time marker. As with all other Adobe software, you must use your Adobe ID to download the software, and this includes the free trial. The file you are downloading here is the Adobe Cloud software, which allows you to download the free trial. Just sign in with your Adobe ID and select the Adobe After Effects free trial which will be available to you in the program.